Tip of the Week: Lead Your Remote Workers to Success - Digital Seattle Blog | Digital Seattle, Inc. | Seattle, Washington | Digital Seattle, Inc. Organizations that have a workforce outside of their normal office location are presented with a unique challenge. In the case of remote employees, businesses have to figure out how to keep them connected to the workplace, productive with their time, and part of the organization’s culture. This week’s tip is dedicated to helping your organization’s remote workers become more successful--or, specifically, how you can help them be successful. Virtual private networks: Any time you have employees accessing sensitive information from outside your network, you want these communications to be encrypted with a VPN. Voice over Internet Protocol: Access to a phone system can make communication much easier, and the best way to do this is with a software-based VoIP solution that can be used on desktops, mobile devices, and laptops. Remote desktop software: Sometimes you have employees who are only remote half of the time. In this case, you can let them remote into their work desktops to access files located on them. Cloud-based applications: Any applications hosted in the cloud are great for remote workers, as they are frequently (or permanently) out of the office, away from their desktops. 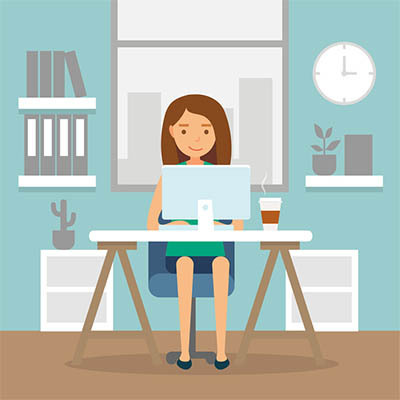 Project management is incredibly important for remote workers, as they are disconnected from the everyday hustle and bustle of the office environment. They aren’t going to be available for “by-the-way” conversations that can lead to major breakthroughs in projects. They aren’t going to be there to hear the collaboration going on. Instead, they need a place where they can see all of the details at a glance. Project management software makes this possible by allowing you to allocate tasks and resources to whoever needs them. The most important part of having remote employees is remembering that they are still a part of the team. It can be easy to forget that they are still hard at work for your organization, so be sure to reach out and check up on them once in a while. Remember, remote employees don’t get the social aspect of the workplace that other employees get, so they might find themselves wishing for some human interaction once in a while. Plus, it helps them feel like they are valued by your business--and when employees feel like they are valued, they work harder and better. Is your business considering going mobile with remote employees? 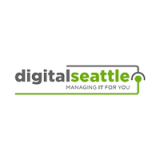 Be sure to reach out to Digital Seattle beforehand to make sure they have all the tools they need to succeed, including software solutions, mobile devices, and so much more. All you have to do is reach out to us at (206) 709-9556.